I will be going back to work in 4 short weeks! While I will be very sad to leave my children at daycare and preschool, I am very excited to great another class of first graders into my room. Speaking of my room, I went in there the other day to clean and organize my things and I noticed that they are installing an interactive whiteboard on one of my walls! I am excited about all the new technology, the only thing is that it is covering up most of my current whiteboard. This is where I keep our calendar. Luckily Lakeshore Learning Materials came to my rescue with their educational software programs. 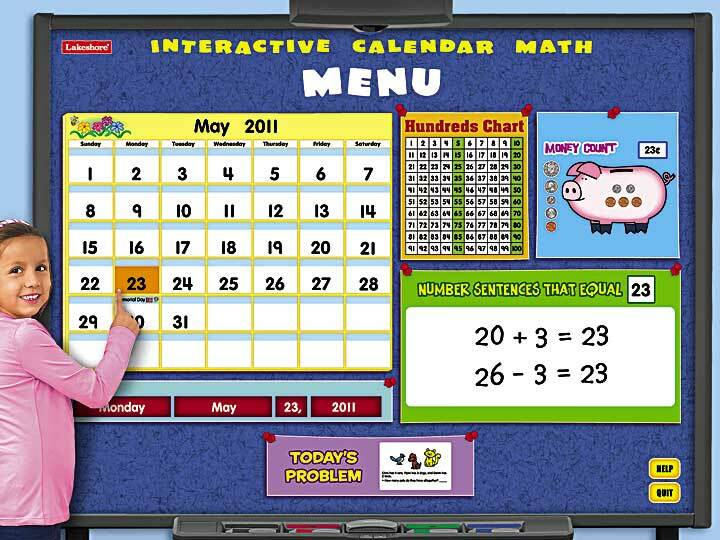 I recently was able to test out Lakeshore’s Interactive Calendar Math software. 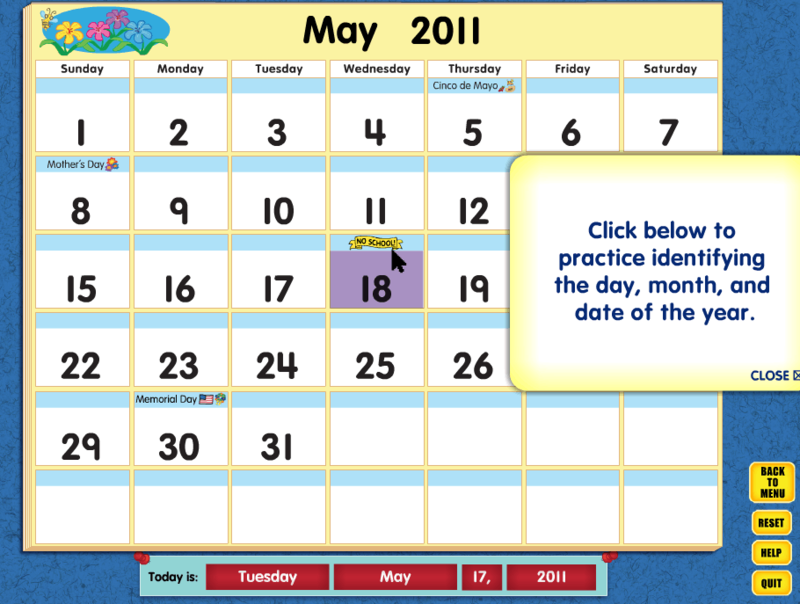 This program is designed to replace a traditional calendar with an engaging interactive one. The program includes 5 different activities that reinforce math standards in a exciting, fun way. 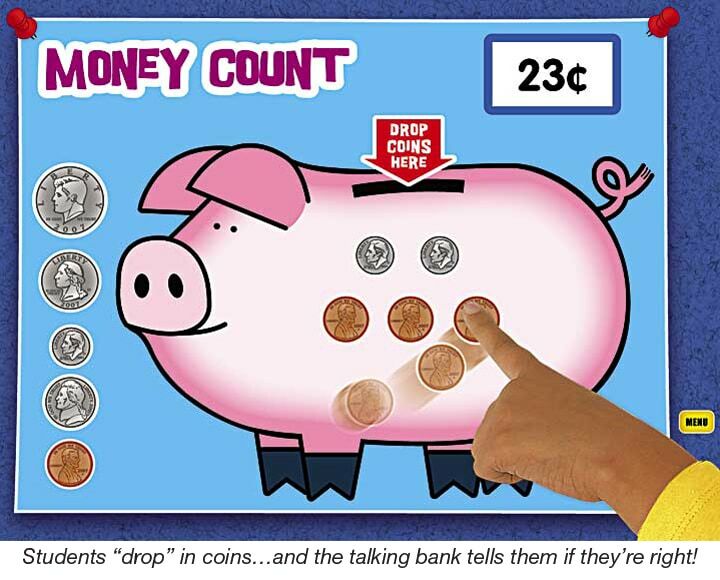 With the program, student will practice counting money as they “drop” coins into the talking piggy bank…master skip counting with the interactive hundreds chart…write & solve their own number sentences…even answer a daily math problem. I will be able to load this program from my computer onto the interactive whiteboard to replace my calendar that I no longer have room for in my room. This program replaces almost everything that we practice during our calendar time. I used to create my own calendars by hand and write in birthdays and events on it. Now I can use the software to do that for me. A snapshot of what you can do with the interactive calendar. 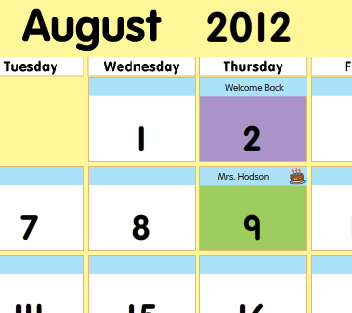 I put in the Welcome Back date and a birthday so you could see how it looks. It is simple to add an event to the calendar. There are several options already built in for you to use. I love the money drop. Counting coins is a very difficult concept for first graders to grasp, and teaching this to them in a daily, fun manner is essential. The interactive piggy bank is one way I can help teach coins and money daily that only takes a minute. My hundreds chart is also something that I might not have enough space to post on my walls anymore. 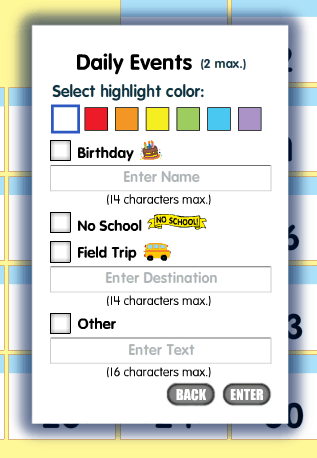 The hundreds chart on the Calendar Math program is fantastic because it allows you to highlight certain numbers. 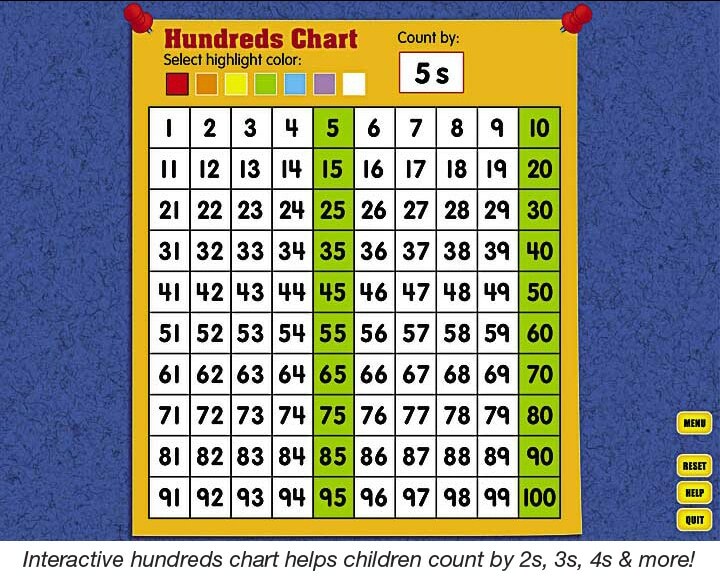 This is a wonderful tool when you are teaching students how to skip count. If you don’t have an interactive white board at home or at your school don’t worry! You can use this software on your laptop or desktop computer as well. Be sure to check out Lakeshore Learning Materials online to see what other software programs they have! I am very excited to utilize this program this year in my classroom. A huge thank you goes out to Lakeshore Learning Materials for keeping up with technology and offering programs like this one for educators. Together we can make learning engaging and fun for students! I received a copy of this software from Lakeshore Learning Materials to facilitate this post. No other compensation was received. All opinions are mine. One lucky reader will win an interactive software download of their choice from Lakeshore Learning! Thanks Ellen! I have been blogging now for about 3 years. I love it. I miss little Emma, I can’t wait to see her again next month! I get ready for back to school by buying school supplies and working on lesson plans. Everything about this program sounds great – but I particularly love the piggy bank money counting activity! School shopping for new school supplies gets everyone in the Back-toSchool mode. We get ready for school by going to bed earlier. I try to start getting up at a reasonable hour! We go year round s I home school but we lessen the load during summer.The week before we go back to a full schedule we have a mini party to celebrate all their hard work. I been working at a preschool going on12 years, and I enjoy looking for new things that the main teacher might enjoy using to teach the students. We have had an EPSON Interactive Whiteboard for a few years now but really can’t find things like activites other then just websites like starfall and PBS Kids and so on. I’m trying to find some very cool and hopefully free IWB Activictes that we can use in the classroom. I would love an interactive calendar and other board stuff like that. I would also like to know how to make my own interactive activities for the IWB. Sure would like some help. I am not familiar with that particular whiteboard but I am going to assume they are all the same. Do you know what software it uses?